Theatre in the Grove's holiday production of "Nuncrackers" is what director Ken Centers calls "nothing but fun." While the name is a spin on the classic holiday piece, "The Nutcracker," "Nuncrackers" is the fourth production out of the "Nunsense" musical series created by Dan Goggin, who was inspired by greeting cards with jokes based around cartoon nuns. 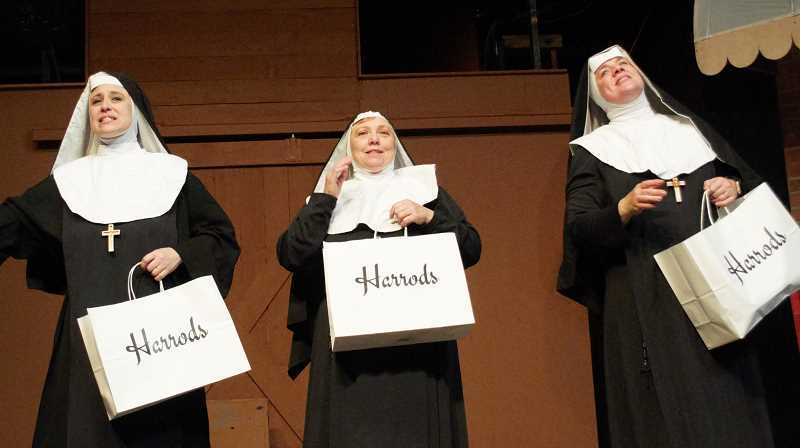 The first out of the series, "Nunsense," became the second-longest Off-Broadway show after it opened in 1985, and featured the lovable Sisters of Hoboken who delighted audiences with their antics. "Nuncrackers" brings the sisters together as they navigate creating a Christmas holiday-special for television in their convent's basement. What makes the show standout among other holiday productions this year is there is no fourth wall, Centers said, giving the audience and cast the chance to interact and feel a part of the production. Jeanine Stassens plays Reverend Mother, Pruella Centers is Sister Mary Hubert, Jennifer Yamashiro as Sister Mary Robert Anne, Wendy Bax as Sister Mary Paul and Jeananne Kelsey is Sister Mary Leo. Joining the five sisters is Brandon B. Weaver as Father Virgil, Abrianna Feinauer as Louise, Rachel Newton as Maria and Ian Romig as John. 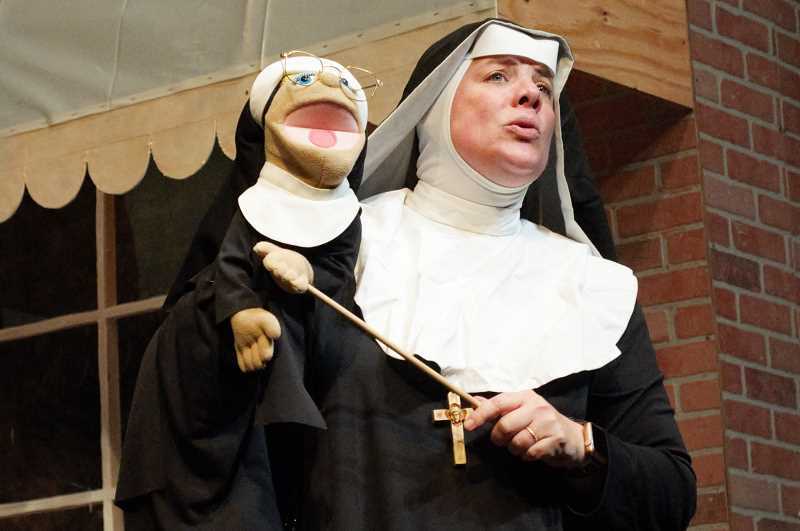 Members of the main cast have performed in "Nunsense" shows together before, Centers said, and having them get together again has inspired Centers as he directs the show. "Getting to work with these ladies is a delight," he said. "I've worked with them each at different times in the late 2000s, but getting them together is just a delight." Her character is seen as the comedic relief and feels her character is given "particularly crazy things to do, she said. "(Theater) fills my tank," Bax said. "I have done it since I was a little girl and it is great to do it as an adult. These people are my friends. Ken has known me since before I met my husband, and I've been married for 25 years. We have this comradery and we have fun." Each musical number is accompanied by a live band set up above the stage, and the songs are easy to love, Centers said. "Every song does something different for me," he said. "There are ballads in it that are beautiful, there are songs like the one Sister Amnesia sings about when she is a kid and her and her brother would fight, that Santa wouldn't come to visit them this year." Centers said audience members will feel nostalgic with a Village People-inspired song called "In the Convent." "Everyone brings their own personality to it," he said. "Nuncrackers" runs through Dec. 23 at 2028 Pacific Ave.
Tickets costs $16 for adults, $14 for seniors and youth and can be purchased online at theatreinthegrove.org or at the box office on Wednesdays from 11 a.m. to 1 p.m. or an hour before the show. The theater is currently hosting a holiday toy drive. Audience members who bring in new toys or school supplies can receive a free concession.